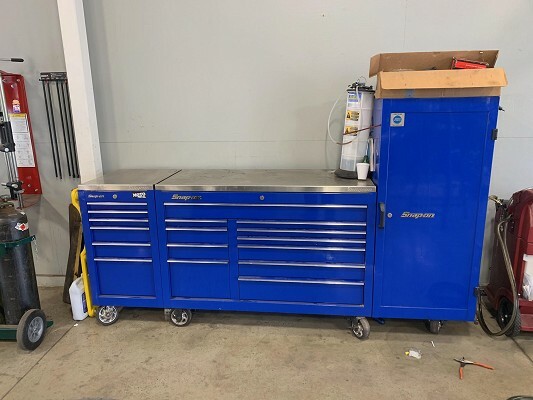 Blue Snap-on Classic 78 tool box with side locker on one side of the toolbox and an extra cab included on the other side of the toolbox. 17 drawers with 3 additional drawers in the locker. Toolbox has only minor scratches, but functions without issue and otherwise looks like new. Asking $4000.00. Pick up ONLY.